YG Entertainment, one of the biggest Kpop agencies, is recently making a pitch for scouting top actors. 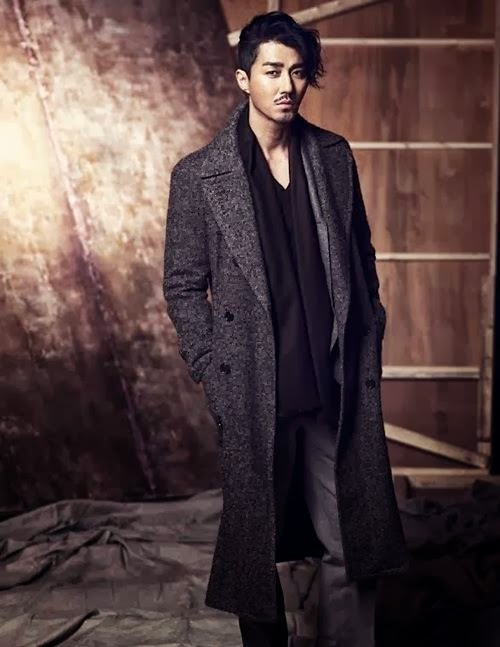 In early 2014, the agency scouted actor Cha Seung Won and actress Choi Ji Woo. Child actress Gal So Won, who showed impressive performance in the film 'Miracle in Cell No.7' also became YG family. By the way, people in Korean entertainment industry are showing mixed reactions to YG's scouting of top actors. There is a distinct difference between the reactions of music industry workers and film industry workers. The World of Singers: "No one can do it but YG"
YG Entertainment is the envy of medium and small Kpop agencies. They could never even dream of scouting such a big star because they have to make a huge amount of down payment on contracting with the star. In Korea, Top actors usually get paid more than 500,000 dollars in the name of down payment. The officials told me, "YG's scouting top actors is the strategy to have a long run in entertainment business." We usually say that idol singers can maintain their popularity for only about 5 years averagely. After that, they have to find some other means of living. However, actors' period of activity is relatively long. Even though one becomes less popular, he or she can continuously appear in films as supporting roles. In this sense, scouting actors can be of help to improve Kpop agency's financial condition. The officials added, "When we manage singers, we have to invest costs for vocal training, CD production and more. But with actors, we can spare that kind of expense." The Movie world: "It is not profitable at all"
Film industry workers told me another story. According to them, it is really hard for entertainment agencies to leave behind net profit through the management of top actors. They told me that entertainment industry is just causing an optical illusion. Top Korean actors averagely get paid 500,000 dollars in return for appearance in a movie. The star divide the appearance fee with his agency at a 9 to 1 ratio. It means that the agency can take only 50,000 dollars, and within the money, agency has to deal with all the costs such as staff salaries, fuel expenses and travel expenses. Do you think it is possible? No, never. That is why actors' agencies are suffering from a heavy deficit. Big Bang's Seungri and 2NE1's Park Bom, Sandara Park and Minzy. What is the real reason for YG's challenge? Film industry workers, who is highly skeptical of scouting top actors also tells, "We need a slightly different approach to the agency that has capacity to create its own video contents." Let's see Choi Ji Woo's case. She has been gaining great popularity in Asian countries such as Japan and China after taking the main role of the drama 'Winter Sonata' aired in 2002. If Choi Ji Woo appears in YG's own video content and the content is exported to the world thanks to the actress' popularity, YG can expect healthy profits in overseas markets. In the near future, you may be able to see Cha Seung Won and Choi Ji Woo in the music videos of YG's famous artists like Psy, Big Bang and 2NE1. It is expected that the actors and singers can create a synergy effect. To be the best in the industry, YG is constantly renewing itself, expanding businesses.